Hi. My name is Jen, and I am addicted to quilting. Seven months ago, I touched a sewing machine for the first time since high school. In April, I completed my first quilt. I'm currently working on my ninth quilt! 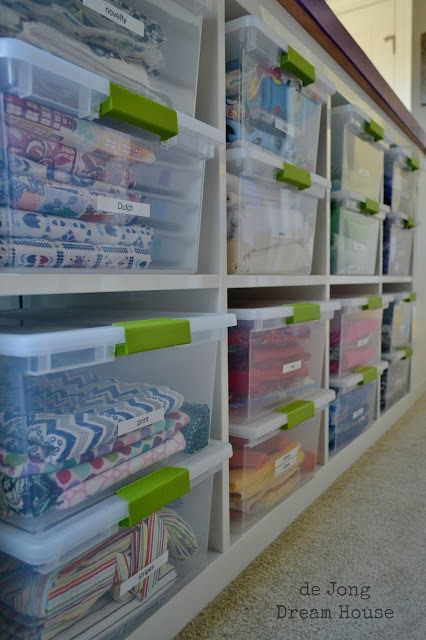 My DIY craft table has a ton of storage to help me rationalize my growing fabric addiction. There are eight cubbies on each side, and four on the end. Each cubby holds two Sterilite deep clip boxes (<--affiliate link). 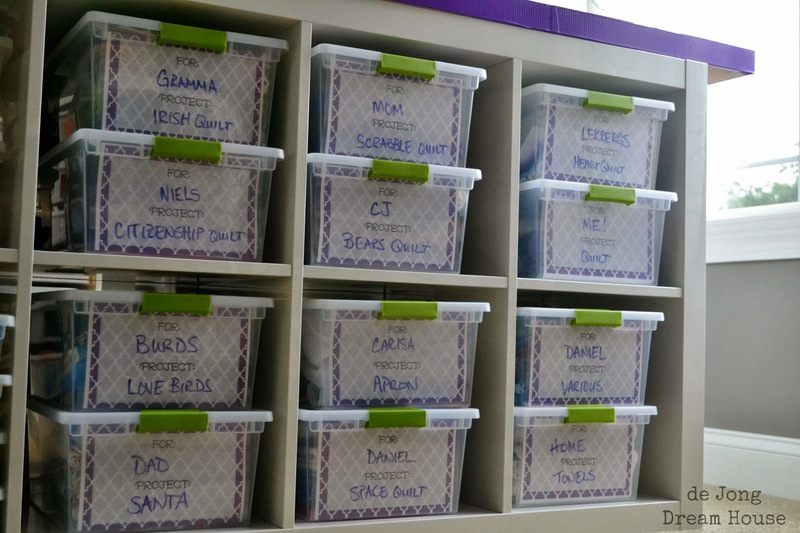 I store fabric sorted by color and type on one side and on the end. On the other side of the table (close to my sewing machine), I store my project boxes. I started off with purple index cards, like this. But I wanted something a little prettier that could be re-used as I finish one project and get ready for the next. I made a quick form with PowerPoint. I sent the file to Staples to be printed and laminated. The laminated card fits perfectly in the front of the box. Inside the box, I keep all the fabric I need for a specific project, the pattern or inspiration, as well as thread and any notions. 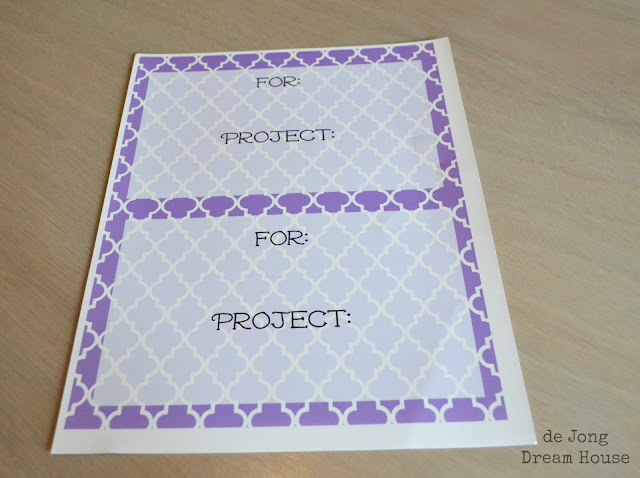 This is a really convenient way to have everything together when I need to run into a fabric store as I'm selecting fabric or looking for a complementary pattern for the backing or binding. Looks like I'll be busy for awhile. 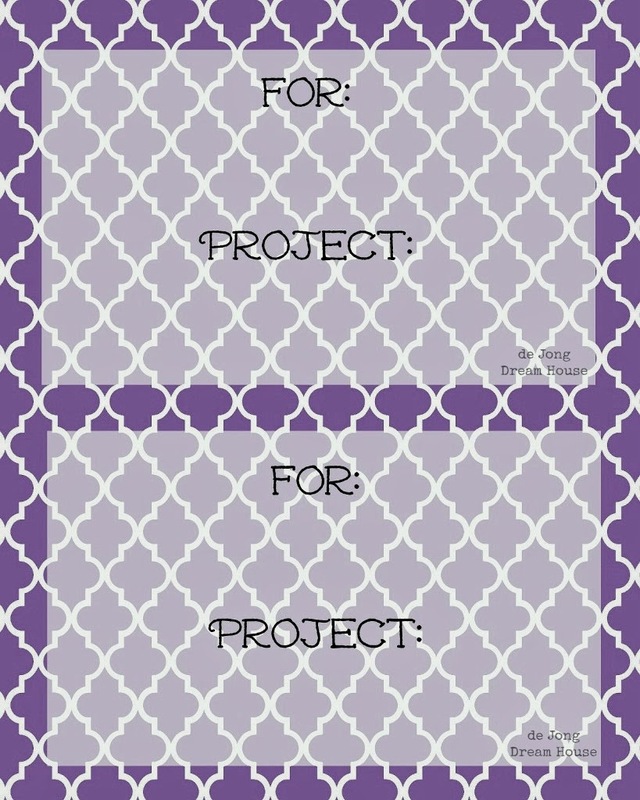 If you'd like to make your own labels, click on the link below the photo to download the file from Box.com. 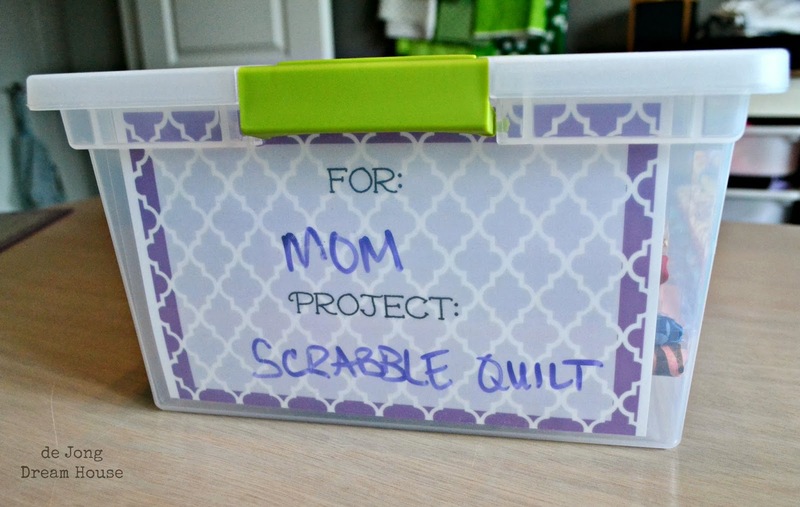 I'd love to know how you organize your craft projects. Share in the comments below. You know this makes the organizer in me swoon! And I love that they're re-usable. You are making such a functional space for yourself! I love it! Thanks, Lauren! I'm sure you could do something similar with your Silhouette goodies! 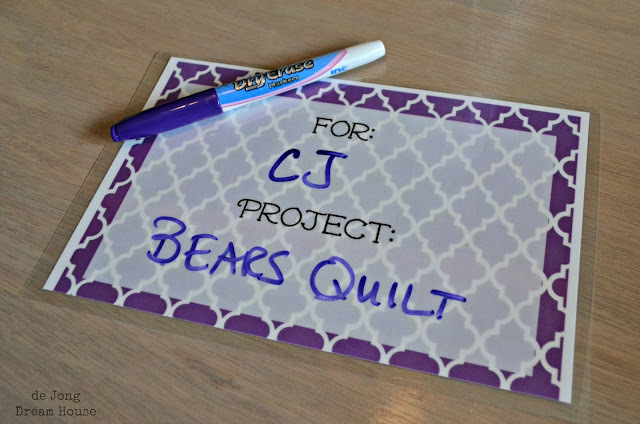 Hi Jen I'm loving all your posts and hopefully will be making my own quilt in the near future! 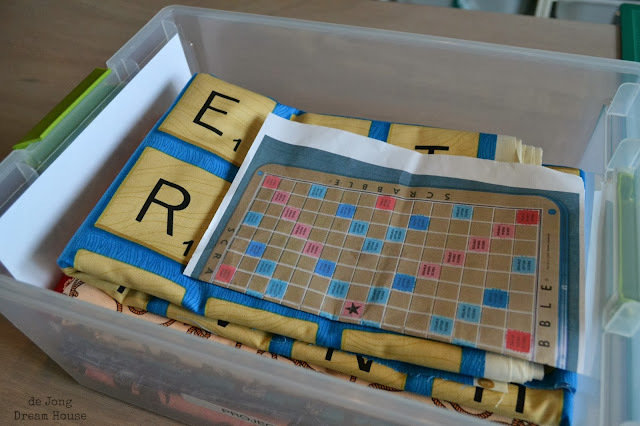 Where did you get the scrabble tile fabric from? It's awesome! Thank you! It's part of the out of print Scrabble Collection by Quilting Treasures. I was able to find here: http://www.fabricandmore.com/shop/Fabric/Fabrics/p/1649-21213B-Scrabble-Letter-Tiles-.htm. They still have some, but I don't know how much, so I would buy some now if you think you might want to use it someday! 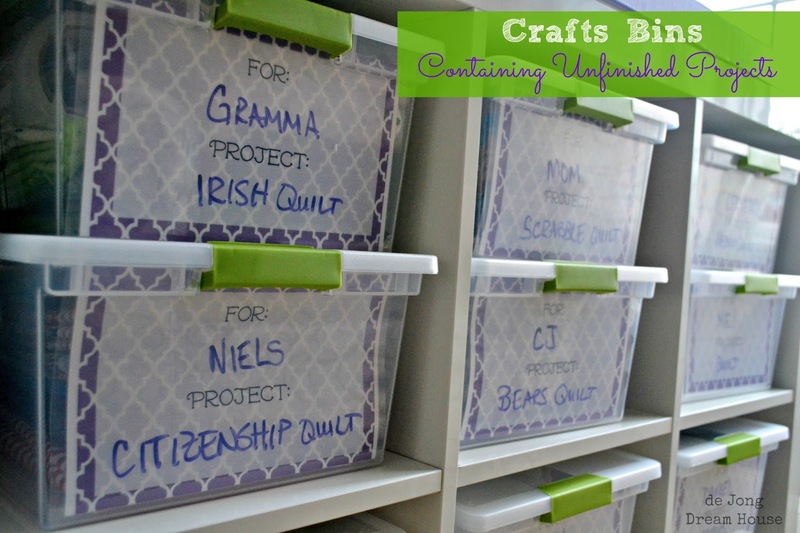 I must say, I'm wishing I had a whole lot of something that needed organizing like this so I could use your method. It's awesome. And I'm so loving those labels and how everything is clean and and well, organized. 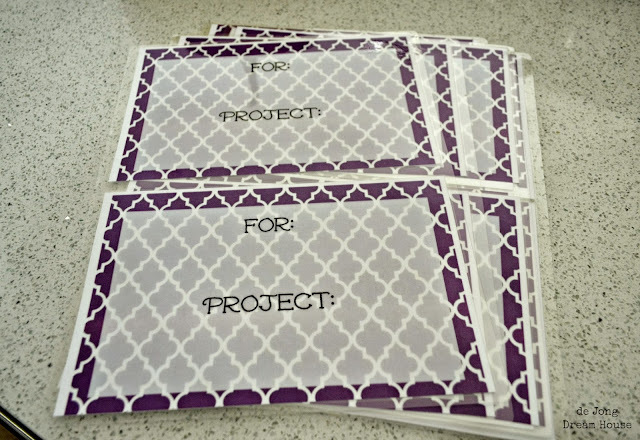 Thanks for sharing this post at our Making Monday link party. We appreciate you. I'm pinning it to our Making Monday board to share with our followers so everyone can see how awesome your system is. Have a fabulous weekend. 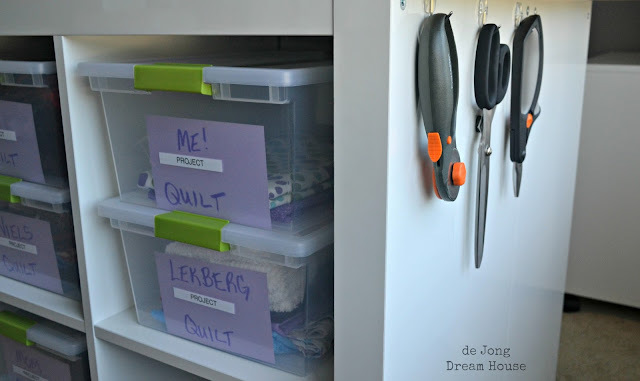 You had me wondering how I could get labels on my Container store Elfa white mesh drawers. The Container store sells them, but I find them to be a little more expensive than I'm willing to pay. So I thought about it and realized, I had whiteboard vinyl, AND magnetic 8"x10" adhesive backed sheets. I just created labels and WHAT a difference!! Thank you for the inspiration. Fantastic! The Container Store is a dangerous place! I'd love to see your labels.